Though Racil made its name with sharply tailored tuxedos, it does floaty dresses just as well. 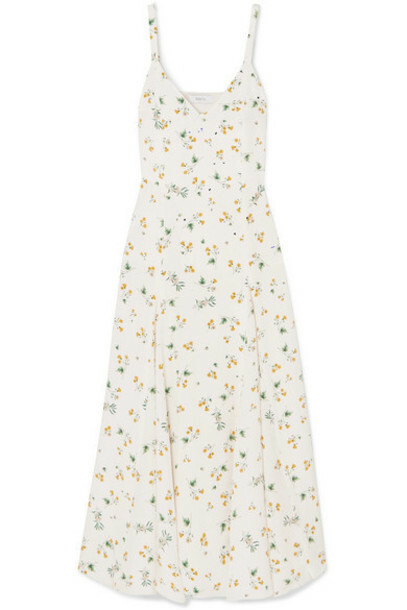 Made in England from silk crepe de chine, this ditsy floral style has an elegant V-neckline and softly pleated skirt that swishes as you walk. The designer herself likes to accessorize with belts and basket bags, so why not do the same?